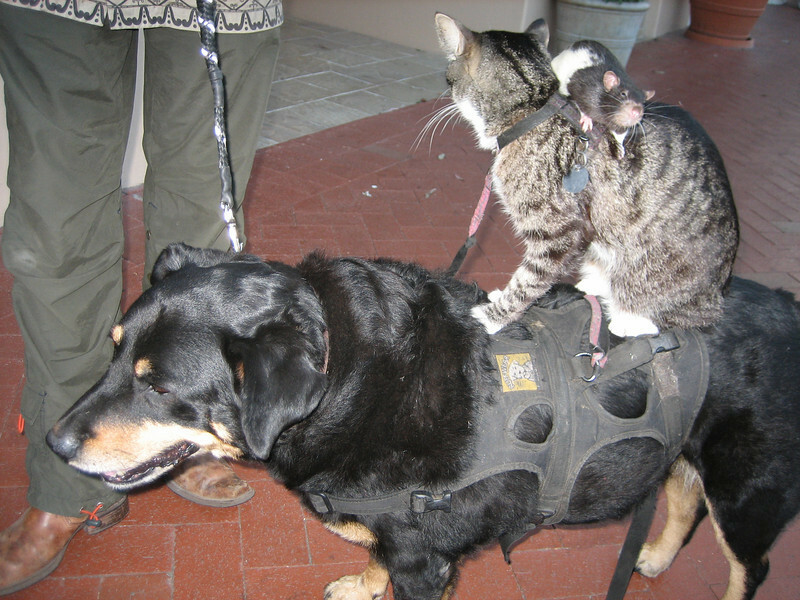 7/21/08 Behold: a rat sitting on a cat sitting on a dog!!! How cool is that?! Too bad I couldn't get them all to look at me at the same time. That is sooo funny. Love it! What a hoot! Do they sing and dance as well? Wow, that's definitely something you don't see everyday! Cool catch!